After storming performances at Community Festival, and support slots with DMA’s, Sheffield’s RedFaces announce the release of a new single ‘Take It Or Leave It’. Released on September 15th through Sony/RCA, it’s a song about trying to convince someone/yourself that you don’t have to live your life the way others tell you but to forge your own path. Something RedFaces know all about. The band head out on a 20-date headline UK tour today (dates below). They also took part in this year’s Soccer 6 charity football tournament at Mile End Stadium over the weekend. It’s been a jam-packed year for RedFaces, from playing a sold out set at Live at Leeds, to appearances at The Great Escape Festival, Dot to Dot, Isle of Wight, TRNSMT, Kendall Calling and Truck, the band are showing no signs of slowing down. RedFaces are Harry Lyon, Isaac White, Charlie Yapp and Ryan Laycock. Four lads from Sheffield treading what was once a well-worn path, these days the road less travelled. The journey started at 2Fly studios in Sheffield, recording demos with Alan Smyth, the man behind the Arctic Monkey’s first ventures. 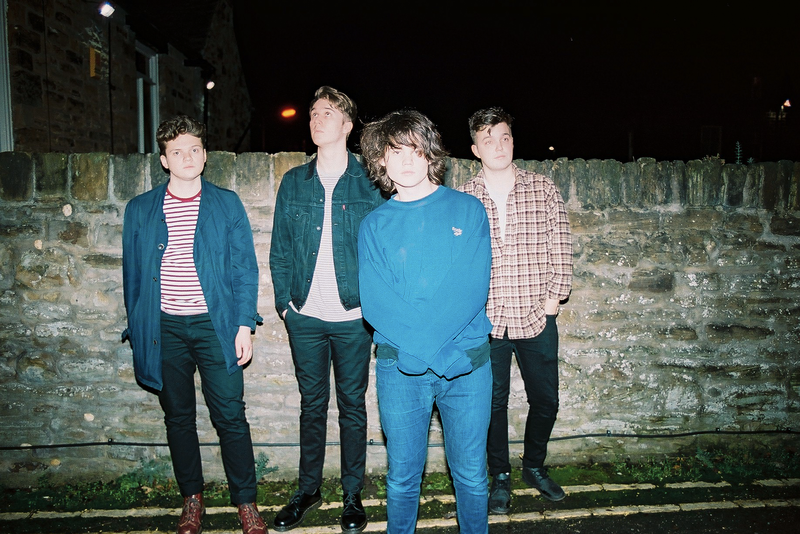 Out of these sessions came the band’s first release ‘Katie Come Home’ in early 2015 – championed by BBC Introducing it also attracted the attention of the London A&R fraternity, eventually signing with RCA last year.